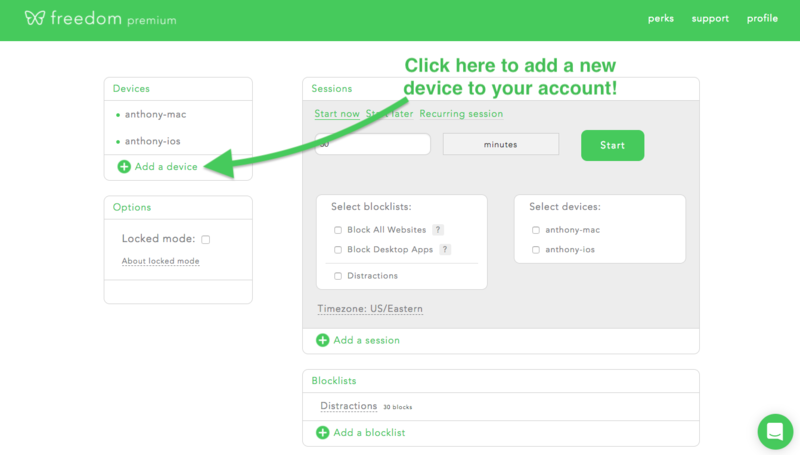 This article provides a step-by-step walkthrough on how to add devices to your Freedom account. Issue: How do I add devices to my account? Freedom works by synchronizing your block lists between our service and your computers. 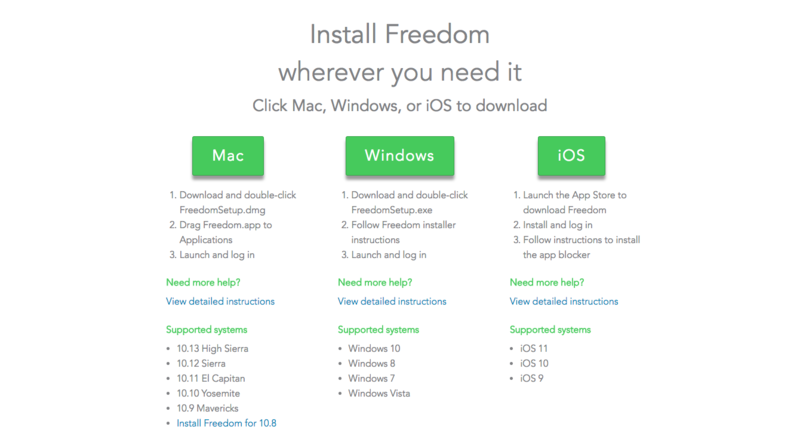 For synchronization, you need to install Freedom software, and then log into the software on your computers and mobile devices. Click on the "add a device" button. This will open https://freedom.to/downloads, which is our hub for downloading desktop and mobile software. Please contact us at support and we'll be happy to help! You can shoot us an email at support@freedom.to or chat with us in the green chat bubble in the bottom right corner of the page.